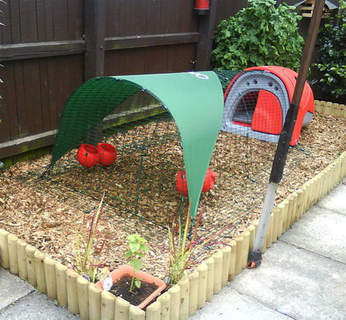 If you want to keep the Eglu in one place in the garden keeping it on wood chippings is a great solution. Cleaning the run is as simple as raking out and replacing the soiled chippings every month or so. 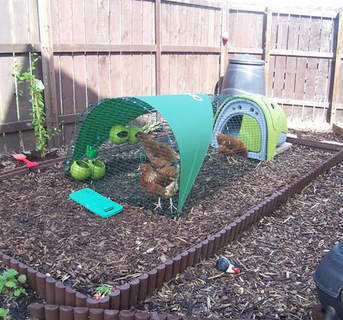 Making a chipped area for your Eglu doesn't take long and is quite cheap too. 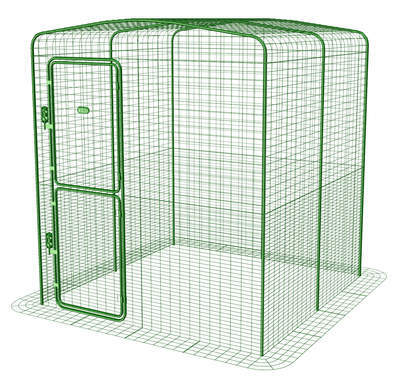 A 4 metre by 1.8 metre area of ground. 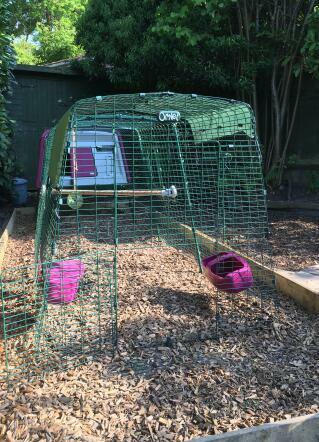 This will give plenty of area for the Eglu and access to the slide-out droppings tray. 300 litres of wood chippings: available from any good garden centre. Choose a chunky type, the smaller varieties can turn a bit mulchy. Lay the edging out around the Eglu. Note: Make sure you leave enough room to open the run door and remove the droppings tray. 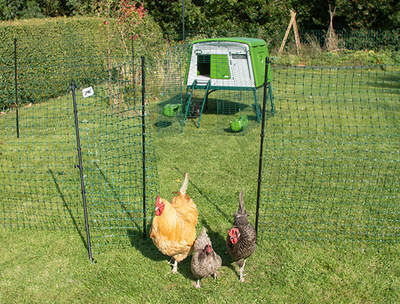 Put your Eglu and run in place and let your chickens give you a well deserved pat on the back! Yes, I was wondering about making run secure on a patio. I notice in one photograph someone has used housebricks to weigh it down, but this seems a bit clumsy. Can anyone tell me how to go about securing edging to patio slabs?! I recommend that don't use bark for chicken runs, as it harbours spores dangerous for chickens. Use woodchips instead - much safer.